I will be the first one to admit, I am a pattern and fabric hoarder. I have way too many patterns. I blame Joann and its dollar sales for the absurd number of patterns that I have collected. I also have a lot of fabric, much of it purchased on a whim, and a lot of it saved for a time that never seems to come. While I really enjoy spending time browsing my collection of patterns or caressing my fabrics, I hate it when things get messy. Messy things make my head hurt. 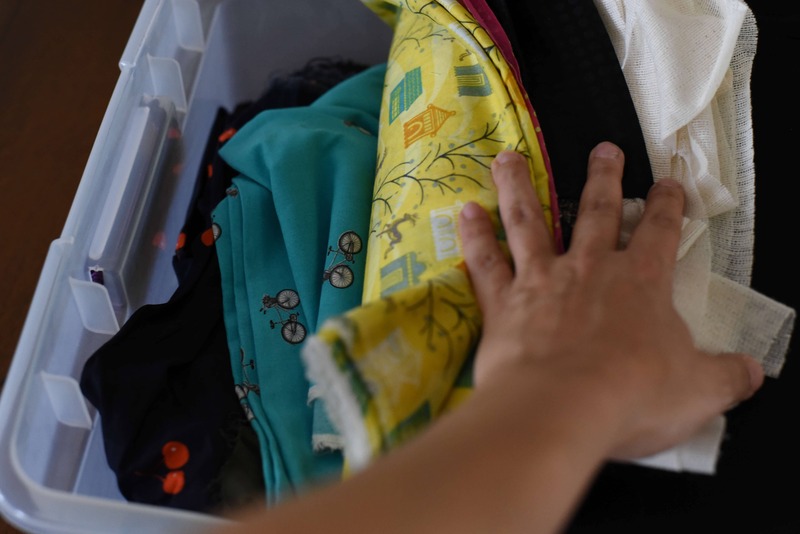 In order to enjoy my patterns and fabrics AND keep everything in order, I have developed a system that allows me easy access to my precious stuff while keeping everything safely stored and cataloged. When my pattern collection became too large to fit in a drawer, I had to devise a new way not only to store but also catalog it. The answer came to me in the form of a Colette blog post. 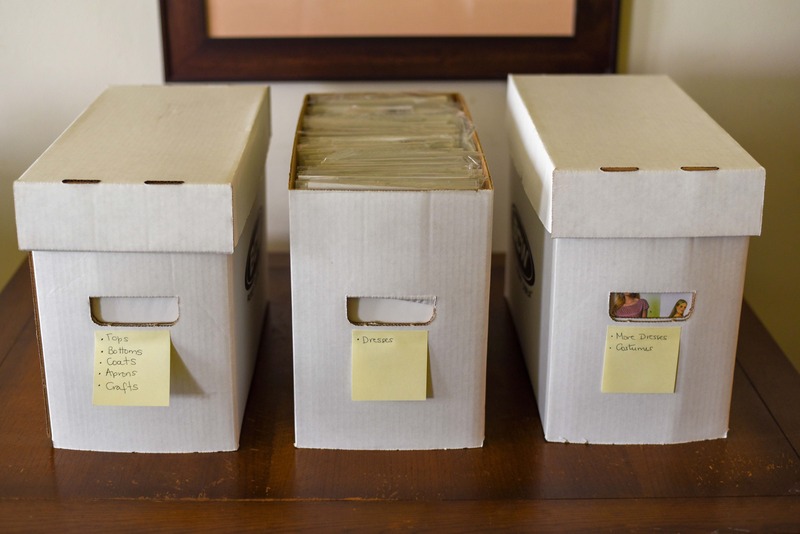 In it, Sarai Mitnick describes how she uses comic book protective sleeves, backing boards, and storage boxes to file her vintage patterns. A quick Internet search took me to Amazon where I found the sleeves, boards, and boxes. The sleeves are the perfect size for the pattern envelopes , and the board keeps the envelope from bending and damaging its contents. Into the box the sleeves go, and everything is nice and upright thanks to the boards. 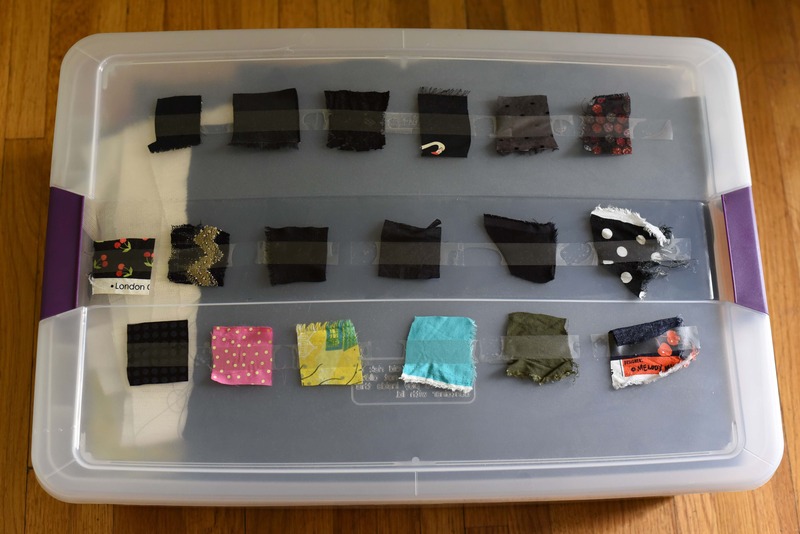 Every box fits about 50 envelopes, and I organized them by type of garment and pattern number. Once all my paper patterns were in the box, I had to find a way to catalog them so that I know what I have and where to find them. For quite some time, the patterns remained in the boxes, but I had no idea of which patterns I have (which has caused me to buy the same pattern twice more than once). It was Helen Wilkinson from the (amazing!) podcast Love to Sew that opened my eyes to the most amazing tool to create and manage boards: Trello. Trello is a collaboration tool that allows for projects to be organized into boards. 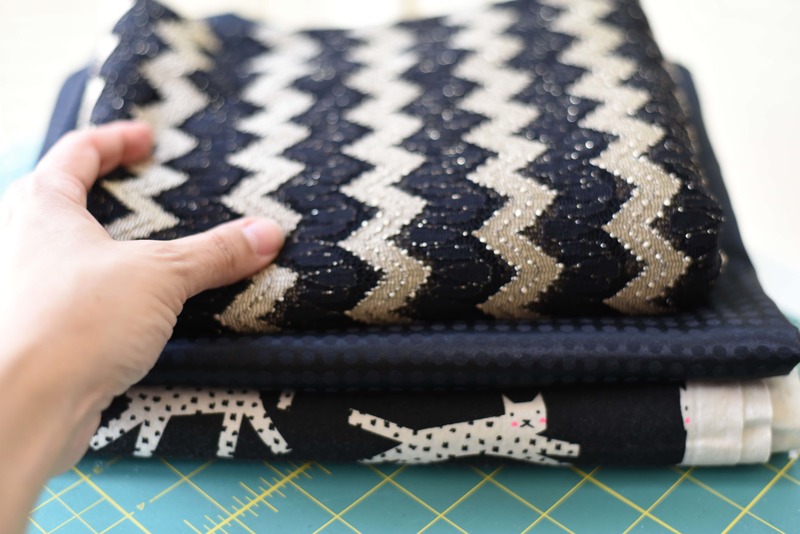 Helen shared pictures of her Trello board on episode 17 of Love to Sew. Much like the boxes, my Trello boards are organized by type of garment and pattern number. I spent two Saturday mornings creating cards for each of the patterns, looking up envelope images online, and dragging the images to each card. I have added colorful labels to each card (for example, woven, knit, made, etc) so that I can filter the cards easily and quickly. I also like to add useful information to each of the cards like helpful pattern reviews, a tutorial, or fabric pairings. This way, when I am ready to make a pattern, I have a ton of information to help me. It was not a quick process, but I am happy that I took the time to do it. I have a much better understanding of my patterns, and I can much more easily browse, sort, and filter them. There was a time when opening a cabinet door or drawer at my place would inevitably lead to a discovery of fabric. I had fabric shoved into my closet, on top of the record player in the stereo cabinet, or stuffed into my T-shirt drawer. When my boyfriend moved in, I had to get my fabric affairs in order so that he could have some room for his stuff. This is when I learned about the glory of the clear plastic bins. 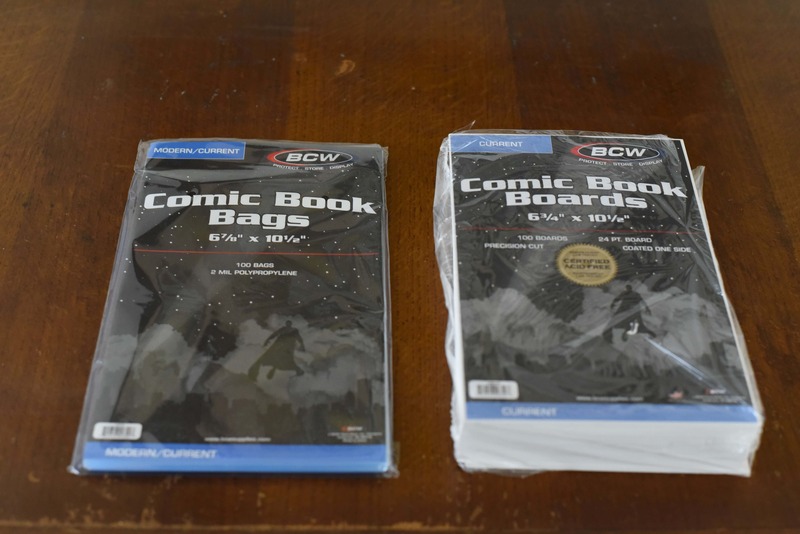 They are cheap, readily available (I live down the street from a Big Lots), and I can slide them under the bed or in the cabinets above my closet. I (do my best to) wash the fabrics before I store them so that I can start a project right away. I cut a square of fabric and attach it to the top of the bin with tape. This makes locating fabrics an easy task. 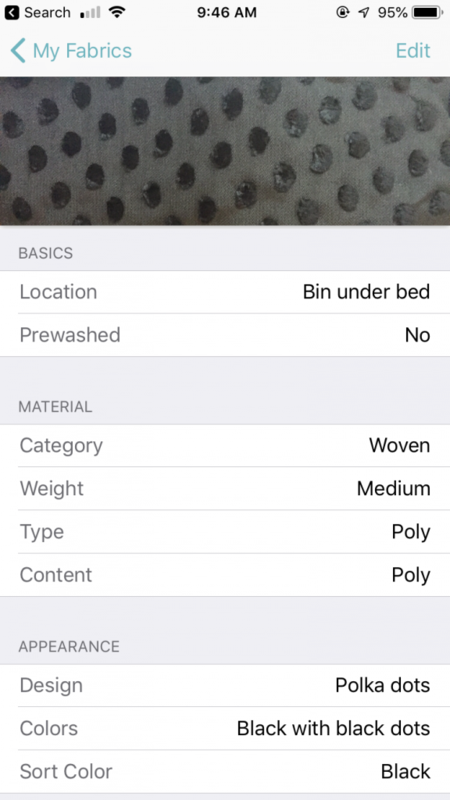 I use Cora to catalog my fabrics. It is free until you reach the 5-item limit; then, it is $6.99 for all the fabric you can catalog. 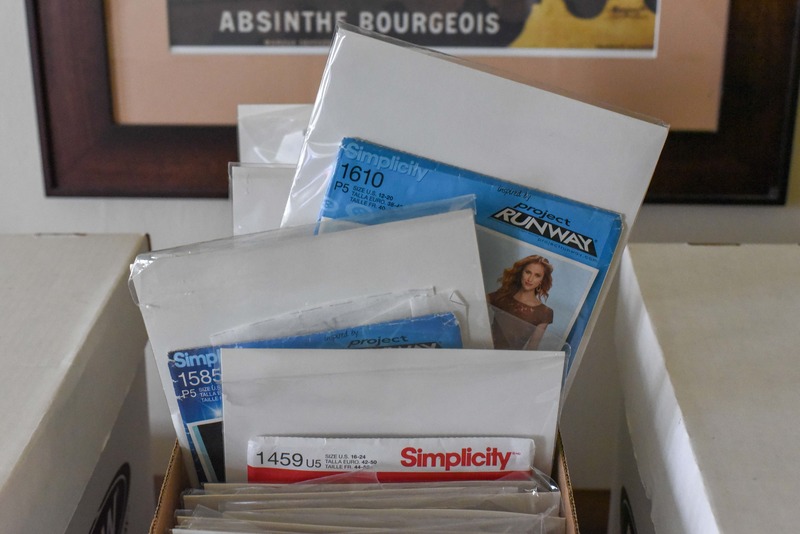 I spent another Saturday morning taking pictures of my fabric stash and entering info such as location (where you keep the fabric), yardage, fabric type, fabric content, source (where you bought it), and notes. 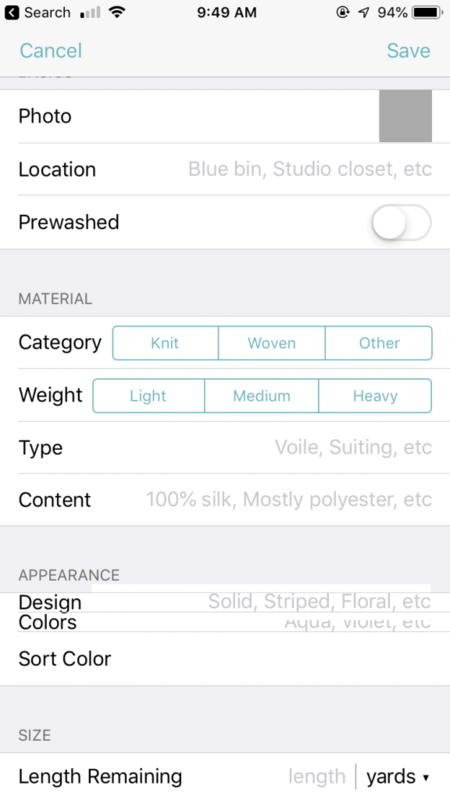 The filters allow me to organize my fabrics in a variety of ways—yardage, type, color, pre-washed or not. The search feature is helpful when I want to find something quickly. I can even email myself a PDF document with all my fabric and descriptions (even though I would not do it again; I ended up with dozens of pages with the same information I have in my phone). 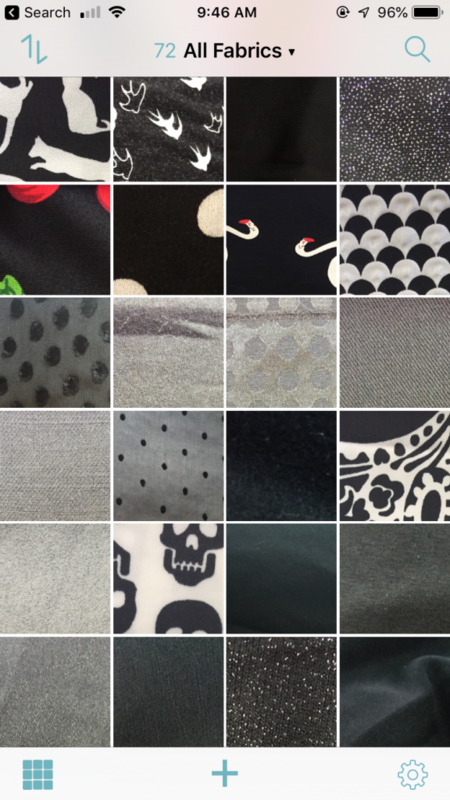 It brings me great joy to look at all my fabrics like little happy, colorful tiles on my phone screen. I am a lot more efficient now. When inspiration (or need) hits me, I can quickly look through my pattern collection and fabric stashes, select a pairing, and get to sewing. I had to invest a good chunk of my time to get this system going. Now that everything is cataloged and stored, though, planning for my sewing has become a lot more streamlined. Instead of wasting my time trying to remember if I have a certain pattern or searching for fabric in my stash, I can spend time sewing all the pretty things. I’ve just recently started using Trello as a project master list and I love it! I hope to get patterns digitally organized soon, too. (I finally got them physically organized I to bags and boxes!) 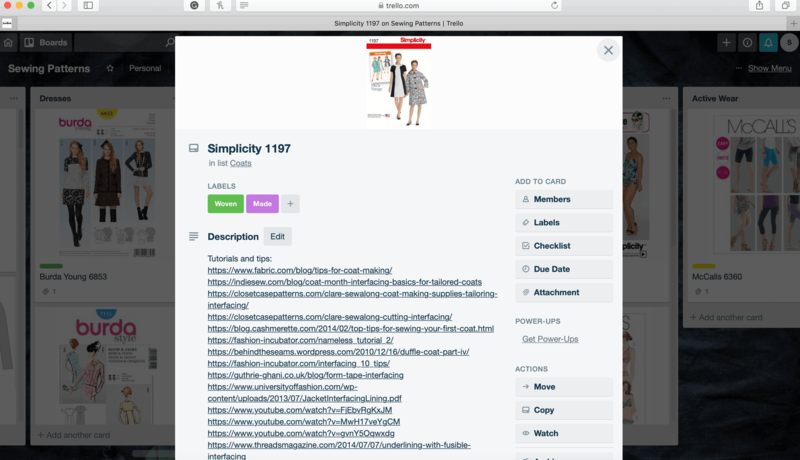 Do you find Cora a more efficient tool for fabric cataloguing, than trello? I really like Cora because it is sewing-specific. All I have to do is fill in the blanks. 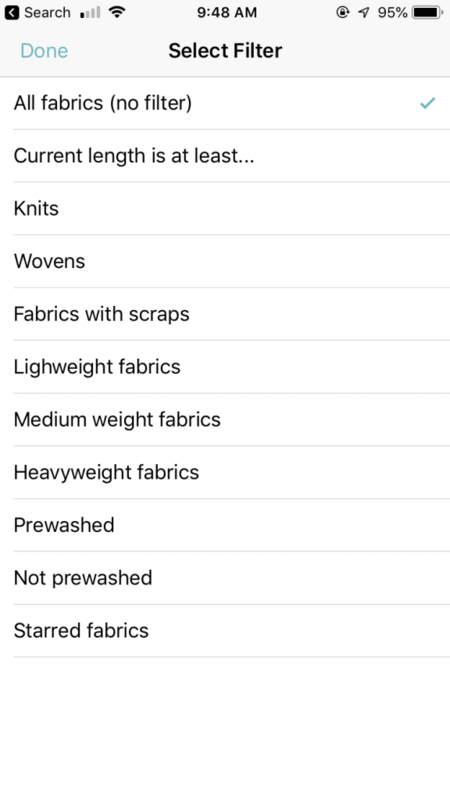 I considered moving my fabric inventory to Trello, but I would have to create some sort of template to enter the same info that comes ready to use with Cora. For now, I am keeping Cora.